The Legend of Zelda: Hyrule Historia is a fantastic hardcover that pays homage to one of the greatest game franchises ever. When it debuted in February 2013, it did so to a slew of fanfare. Now, nearly two years later the book has made it all the way to the top of the Nielsen BookScan charts, making it the number-one book in America. The book also reached number one on the Wall Street Journal and New York Times bestseller lists. Dark Horse announced a record print run and the number continues to grow as The Legend of Zelda: Hyrule Historia dominates orders in the UK, China, Italy, Spain and Canada. This handsome hardcover contains never-before-seen concept art, the full history of Hyrule, the official chronology of the games and much more. Starting with an insightful introduction by the legendary producer and video-game designer of Donkey Kong, Mario and The Legend of Zelda, Shigeru Miyamoto, this book is crammed full of information about the storied history of Link’s adventures from the creators themselves. As a bonus, The Legend of Zelda: Hyrule Historia includes an exclusive comic by the foremost creative team of The Legend of Zelda manga Akira Himekawa. 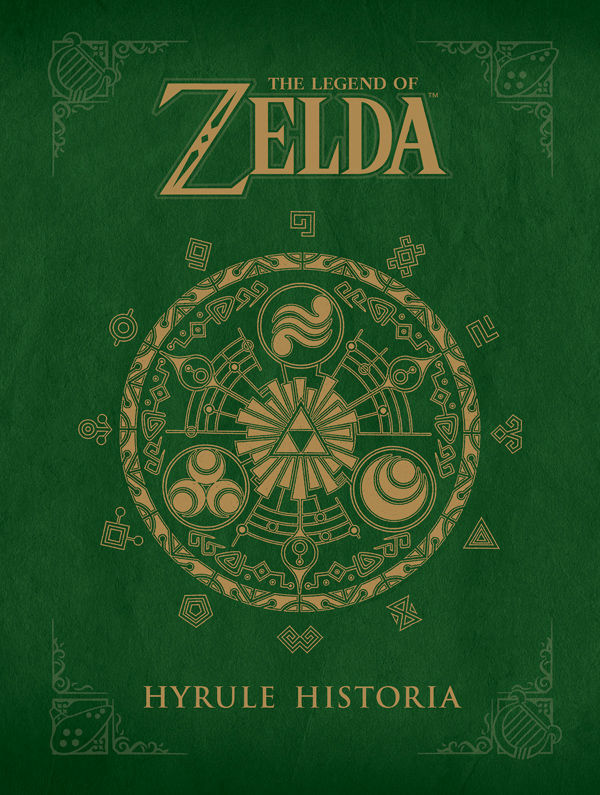 FOR IMMEDIATE RELEASE: MILWAUKIE, OR—Dark Horse Comics has secured its place in video-game-art history with The Legend of Zelda: Hyrule Historia™, which charted as the number-one best-selling book at Diamond Comic Distributors for 2014! In February 2013, The Legend of Zelda: Hyrule Historia soared to the top of the Nielsen BookScan charts, making it the number-one book in America. The book also reached number one on the Wall Street Journal andNew York Times bestseller lists. Dark Horse announced a record print run, and the number continues to grow as The Legend of Zelda: Hyrule Historia dominates orders in the UK, China, Italy, Spain, and Canada. Look for this highly sought-after release at your local comic shop or bookstore today! Order online throughAmazon, Barnes & Noble, or Things From Another World!